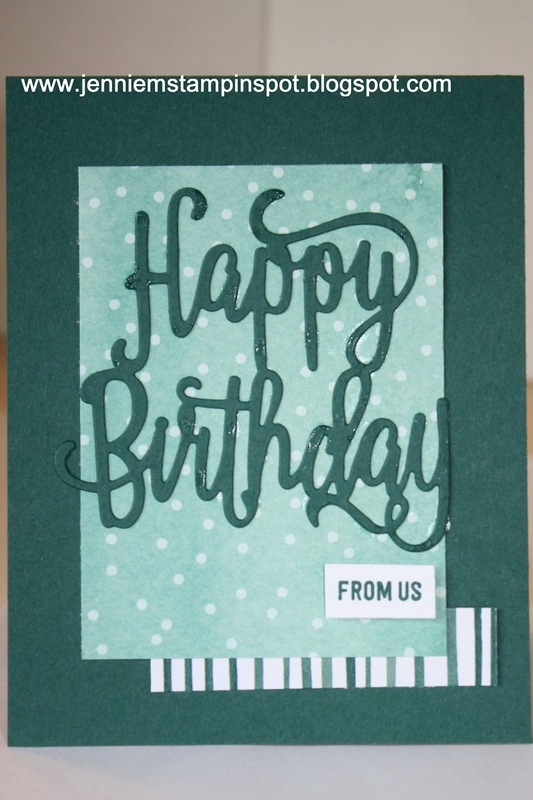 This card uses the sketch at Hand Stamped Sentiments #268 here. Jar of Love and Thoughtful Banners are the stamp sets with some Color Theory DSP Stack. Gotta love these double-duty cards! First, I used the sketch at TGIF Challenges#116 here. And this also qualifies for the SUO Challenge#179-New Fun from Stampin UP!, here. 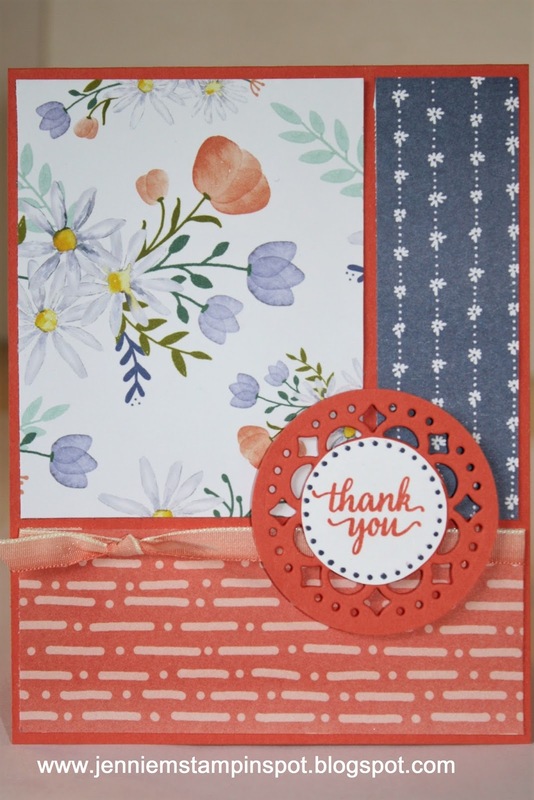 I used a new stamp set, Colorful Seasons and new DSP, Whole Lot of Lovey DSP. 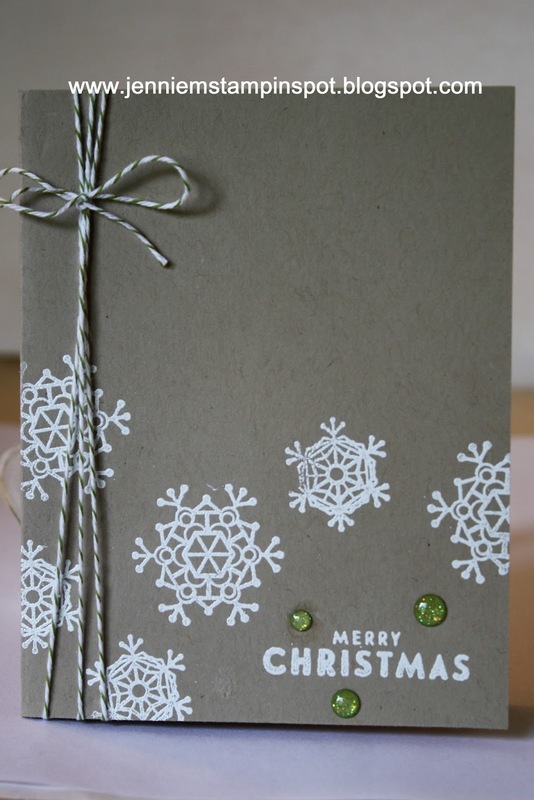 This card is for the Merry Monday Christmas in July here. It's their Christmas in July challenge to catch up using previous challenges. I chose Merry Monday#245 here, a Kraft challenge. Colorful Seasons and Flurry of Wishes are the stamp sets. First, the colors are from The Paper Players#352 here. The colors to use are Sweet Sugarplum, Berry Burst and Rich Razzleberry. And second, is the Global Design Project#095-Kids theme, here. 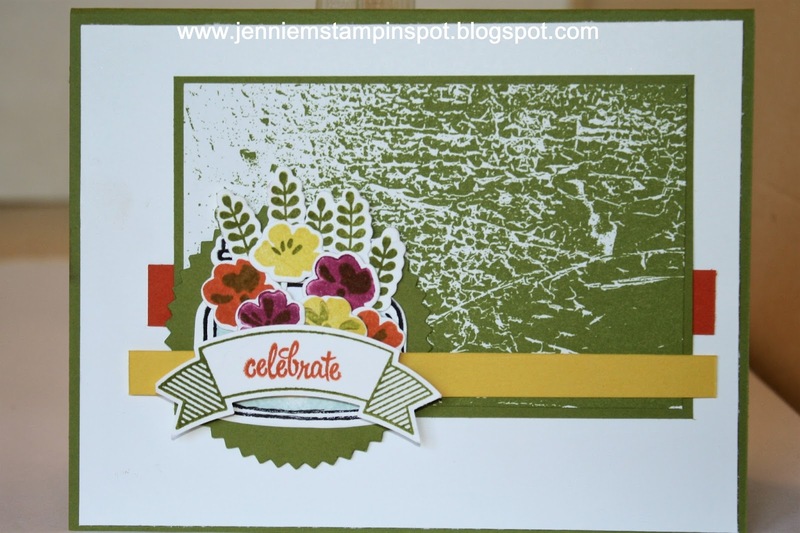 Sprinkles of Life is the stamp set. 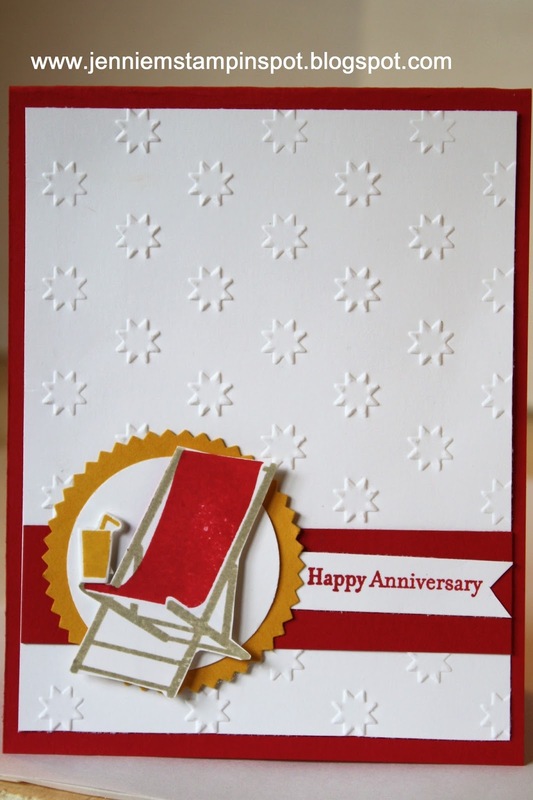 This anniversary card uses the SUO Challenge#178-Summer Fun, here. 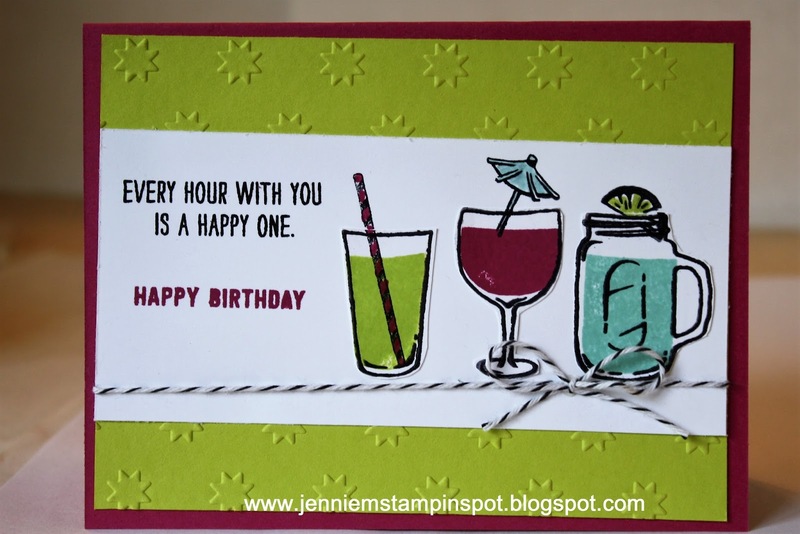 Colorful Seasons and Teeny Tiny Wishes are the stamp set. 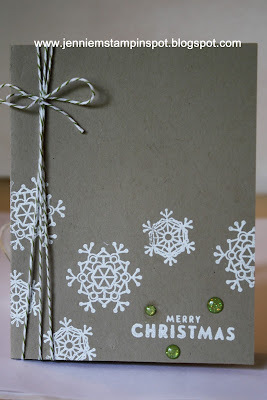 And I ran some Whisper White thru the Big Shot with the Oh My Stars embossing folder. 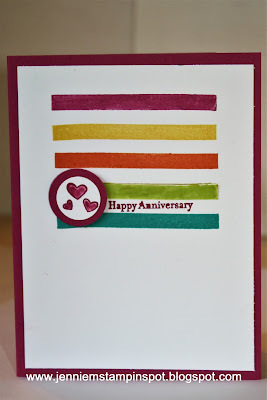 This anniversary card uses a sketch and a color challenge. First, the sketch is for the Global Design Project#094 here. And the colors are from the FabFriday#116 here. 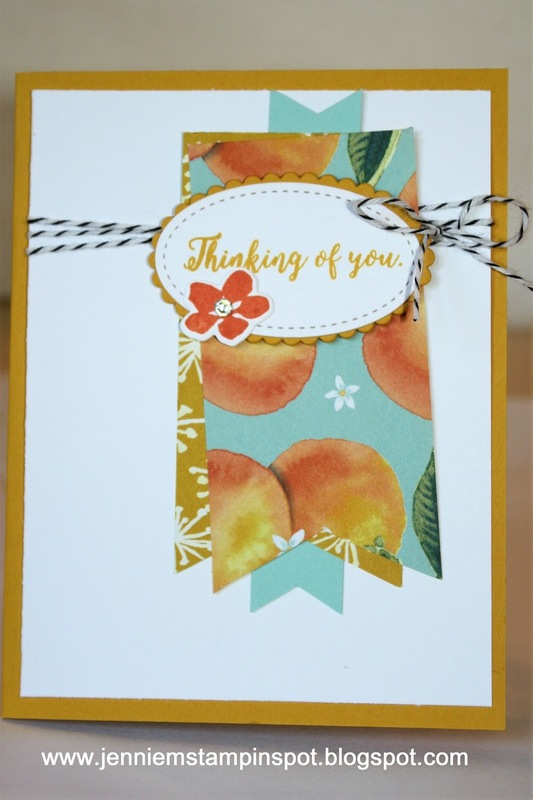 The colors to use are Berry Burst, Daffodil Delight, Tangerine Tango, Lemon Lime Twist and Bermuda Bay. Thoughtful Banners, Teeny Tiny Wishes and Sharing Sweet Thoughts are the stamp sets. 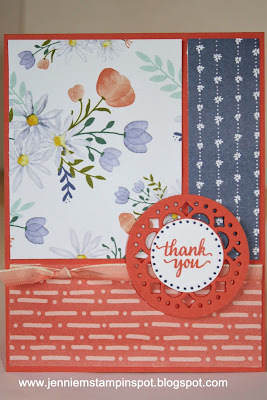 A double-duty card for a sketch and a color challenge. First, I used the sketch at Case This Sketch#228 here. 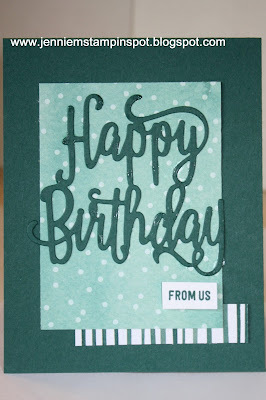 And then the colors are from the Hand Stamped Sentiments#264 here. 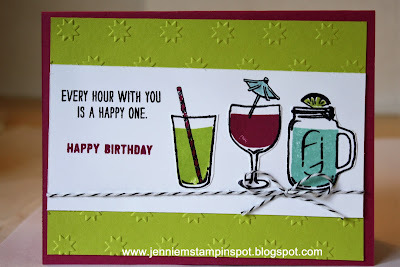 The colors to use are Lemon Lime Twist, Dapper Denim and Rich Razzleberry. 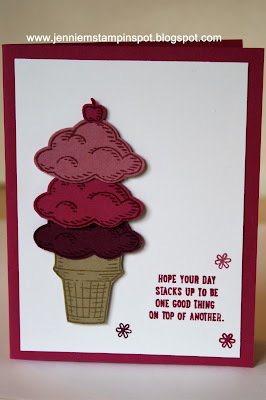 Jar of Love is the stamp set. 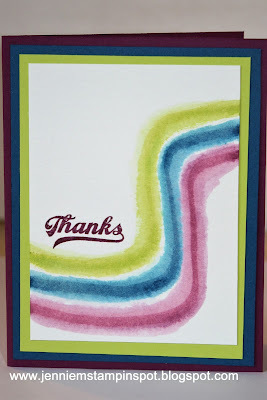 And I created the design using the colors of Stampin' Write markers and my Aqua Painter.